Our original business name of Sumner Electronic Publishing just didn't seem to have the "kick" that we wanted. We were looking for a name that would provide a railroad theme since our main focus is on providing books and e-books about model railroading and virtual railroading. Sumner was settled in 1853 by members of a wagon train which crossed over the Cascade Mountains through Naches Pass. In some places the mountains were so steep it was necessary to lower the wagons over the cliffs. Lying in a fertile river valley, Sumner became an agricultural community at the junction of the Puyallup River and Stuck Creek (now known as the White River). Major crops included daffodils, rhubarb, hops, berries, vegetables, and turf grass. In 1873 George Ryan came west from Wisconsin. He farmed 40 acres purchased from Laura Kincaid Seaman; raised fruit, vegetables and hops; owned a sawmill; built a big section of the business district; and helped establish a railroad depot. In 1883, the town was platted on the 160 acres owned by John Kincaid. The establishment of the Northern Pacific rail line through the Sumner area and the construction of the depot influenced the development of the community. The downtown and core residential area developed within a 15 minute walk from the depot. 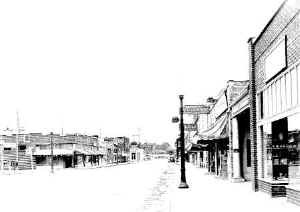 With 127 registered voters, and a majority vote, the town of Sumner incorporated in 1891. George Ryan was elected the first mayor. 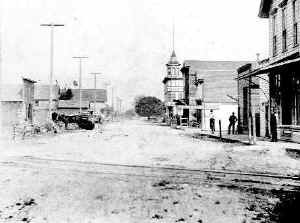 Reporting a population of 538 in 1900, Sumner has grown to about 8,400 in 1998. Agriculture remains important to the local economy, along with food manufacturing, wood products production, and warehousing and distribution. 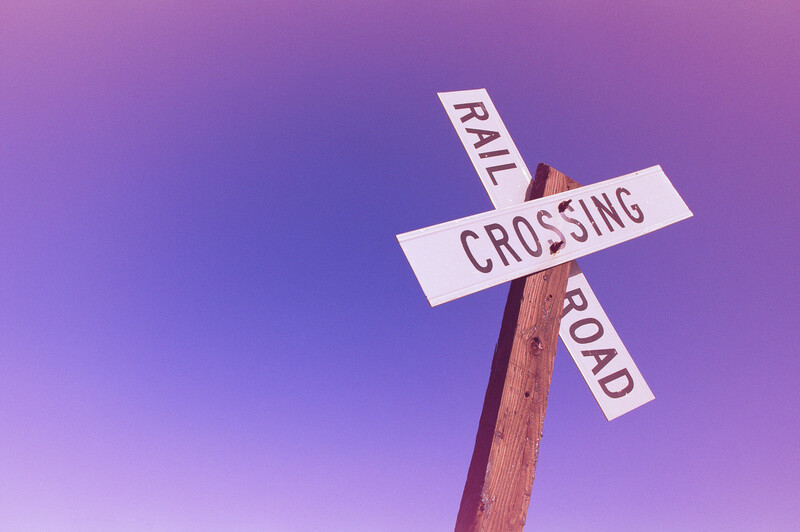 The village was first called Stuck Junction, and later Franklin. A local resident, J.P. Stewart, was instrumental in establishing a post office serving the area now governed by Puyallup and Sumner, and he named the area Franklin after his hometown in New York State. When the nearby post office relocated, another one was needed in Sumner. The new post office was located at the Ryan's home with Mrs. Ryan as the first post-mistress. The U.S. Postal Department requested a new name for the post office since there were so many places named Franklin and delivering mail became confusing. Three townsmen, John F. Kincaid, L.F. Thompson, and George Ryan could not agree on a name, and each placed a name on a slip of paper and put it into a hat. A boy was called into the store to pick one of the slips and it came out "Sumner." Charles Sumner was a Senator from Massachusetts and a popular statesman of the 19th century known for his efforts toward the abolition of slavery among other issues. The name of Sumner went on the railroad depot after the town incorporated in 1891. Pictured: Pauline Marie Conner Guiel, William Henry Guiel (front), Jacob Holgate Guiel. This web site is made possible through your generous support. Thank you! ©2007 Stuck Junction Publishing Co.